ADK and ninjas, it's definitely a love story. 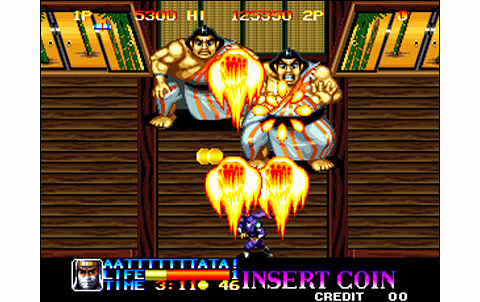 On the three only games of the Neo Geo containing the word 'ninja' in their title, all were made by the japanese company. 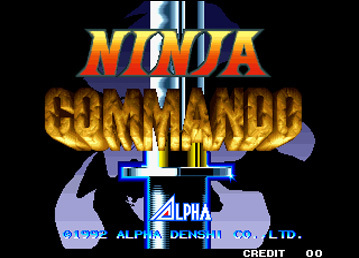 The first is a Beat 'em Up (Ninja Combat), the other one an excellent VS fghting game with swords (Ninja Masters)... and here is Ninja Commando! 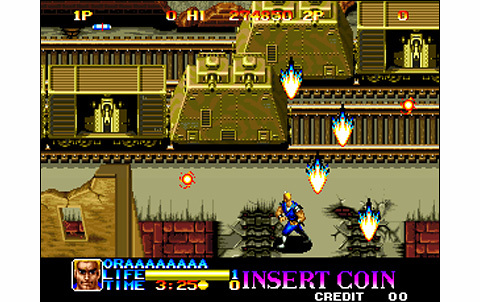 A vertical Run'n'Gun in the line of Mercs, released by Capcom a few years before. ADK -formerly Alpha Denshi- enjoys traveling in time: after World Heroes and its mad scientist, Ninja Commando does it again: we're still dealing with a megalomaniac millionaire who has developed another time machine... but he will be using it for much more vile purposes! 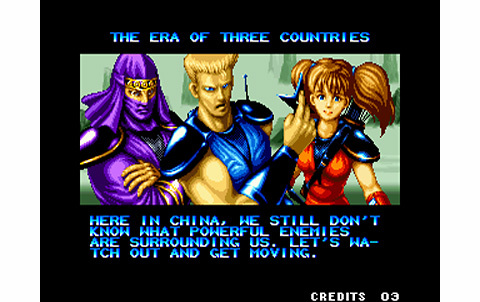 Our three ninja heroes (Joe, Ryu and Rayar) are there to put an end to those evil plans. Ninjas, time travel... Jean-Claude Van Damme is getting close! 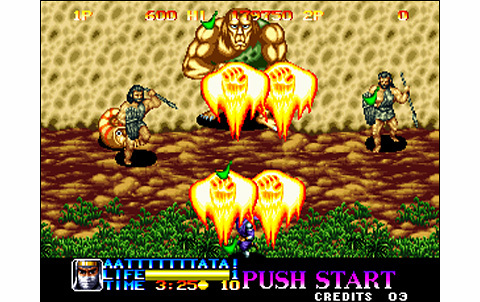 We begin the game by choosing among the three warriors proposed, each one packing its own strenghts and weaknesses. 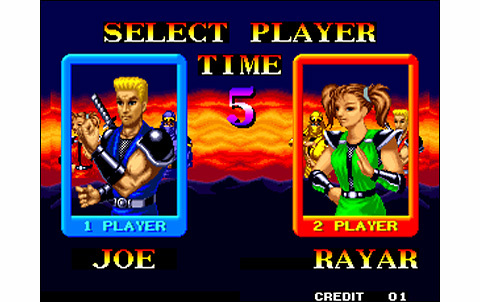 Joe has an average power but a wide shot, Rayar is quick with concentrated fire, and Ryu is powerful. 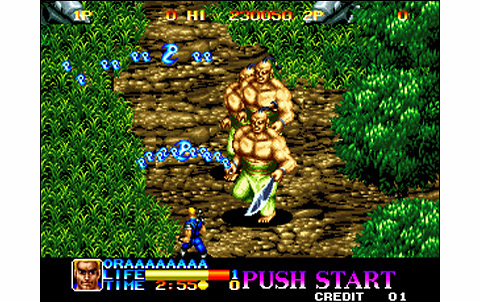 A life bar keeps you informed about your health, as well as current events and picked up gold. A superb black band eats a good sixth of the screen, as in Ninja Combat: not really acceptable for a Neo Geo game, and not espacially adequate for the vertical scrolling action! 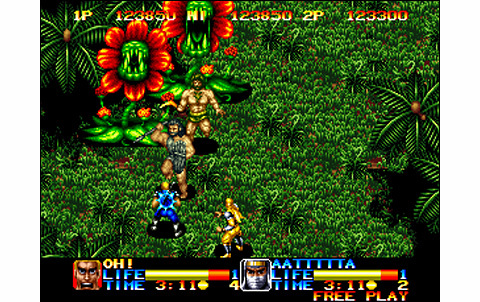 Despite this, the graphics are colorful, the perspective is well managed. Characters and backgrounds are quite beautiful, bosses impressive and original (sumo, mummies, dinosaurs...) and the various shots and effects are well made. It's not very delicate nor detailed, but it rocks! now, let's take a closer look at our heroes. 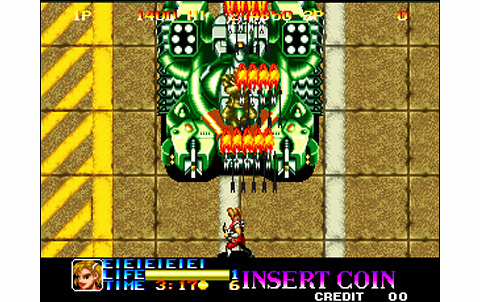 The faster you hit he fire button, the more the projectiles firepower is increased. 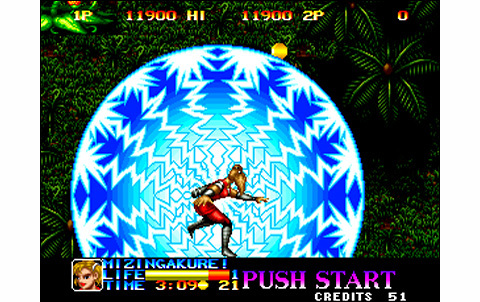 B button allows a fast dodge (somersault) in any direction, which combined with A throws a shuriken. 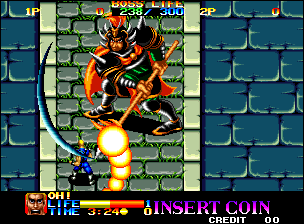 C finally triggers a devastating special attack, that will cost you a small part of your life bar. But there's more! 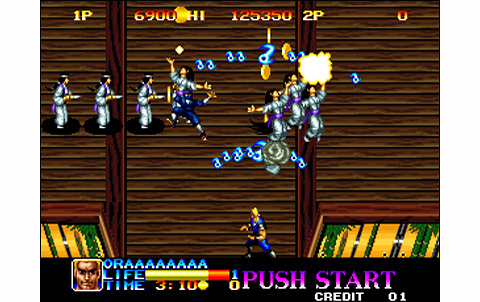 Special moves are also included to the arsenal of attacks for our ninjas. Combining quarter circles with A, or charge attacks (hold down, up + A) or many other complex manipulations, will trigger some great special moves, proving at times very useful and enriching the gameplay pleasantly. Finally, you can collect up to three scrolls during the action, and this turns you temporarily into your animal form, providing invincibility and increased firepower for a short time. So check out our Game Guide to see what great things are available! 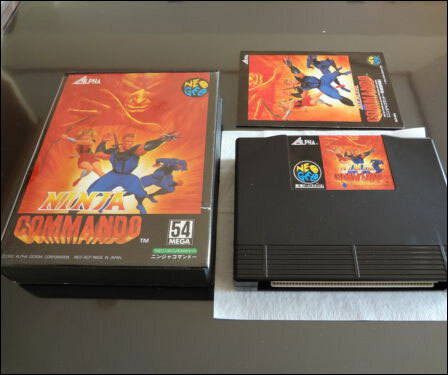 Here's a nice gameplay that promises to be exciting and fun, but I can tell you you're going through hard times playing Ninja Commando. 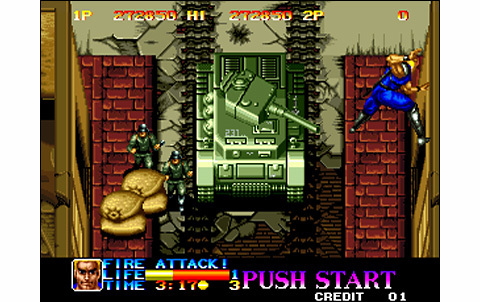 The 'dodge' possible with B does not make you untouchable - like in Shock Troopers - and the hitbox of our characters are way too large. 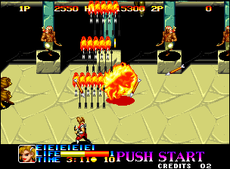 Avoid enemy fire when it's huge and some Bosses attacks is almost impossible, as it's rather easy to be hit... 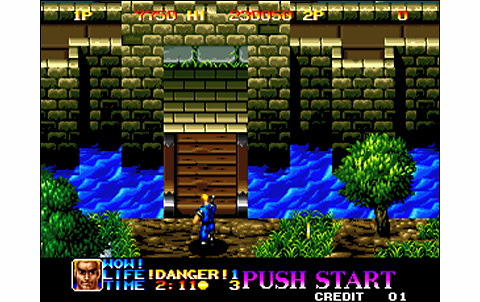 So ok, we can recover life with items over the stages, there are the special moves, and with a little practice it's getting better: however, player have their asses kicked in Ninja Commando. What the hell, are we ninjas yes or no motherfuckers? So yeah, another ADK game way hard to clear, as usual. Anyway, the seven long stages are varied and the more we advance, the more we want to know what era will come next. It isn't easy to clear the game with the four basically allotted credits, even for a seasonned player; then for the one-credit-clear, brace yourself man... In any case, brawl fans will have a pretty good time with all this intense and messy action. Moreover, the animation suffers a bit from this when two players invade the screen with countless shots and a lot of enemies around: slowdowns, blinkings... More megs could have fixed this. Music and sound effects are excellent - as usual on the system - but speaking about originality and creativity, please come back later! 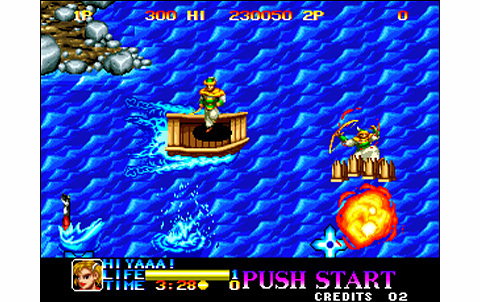 Halfway between run'n'gun and shoot them up, Ninja Commando is an excellent way to let off steam with friends (but alone too...) which can remove all the stress accumulated during a long day of work. Look no further for some finesse or subtlety here, only come to smash frantically on your arcade sticks without understanding what is happening, and that's just fine! 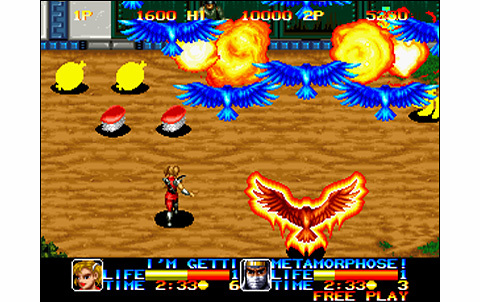 Many colors, great effects and big sprites: it's nice, but more detail would have made the game look even better. Explosions everywhere, dynamic action, good rhythm. Speaking about flaws, animation is not particularly decomposed and there's many slowdowns when playing two. Excellent quality, but poor creativity. 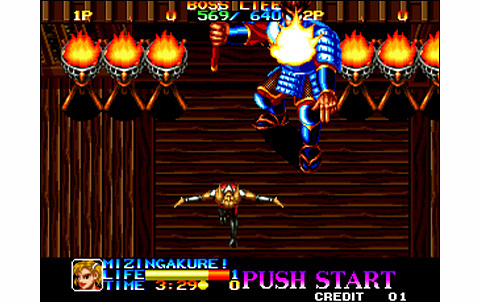 Themes are commonplaces, but the game still packs many vocals and some nice effects. Seven stages in various eras, a high difficulty... A great challenge awaits the players! 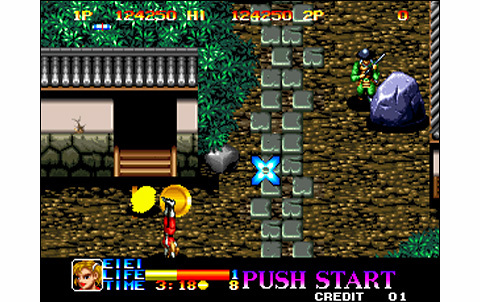 There are three selectable characters each featuring a nice range of moves and special moves. 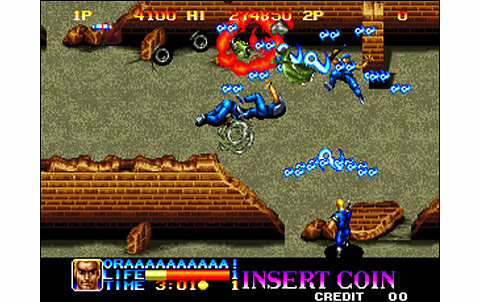 The action is fun, despite sometimes a messy action, with too many enemies and shots on the screen. A good vertical run'n'gun, packing intense action and fun. Holy Cow!!! 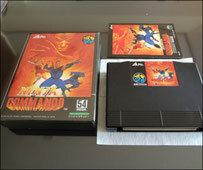 How expensive it is, this Ninja Commando. Whatever the version you choose, get ready to spend something like 200 euros for playing it on your beloved AES. 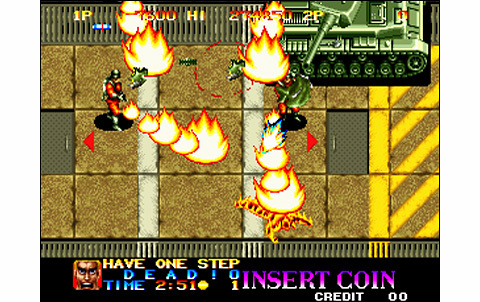 Let's say that for almost the same price, Shock Troopers is a better choice.